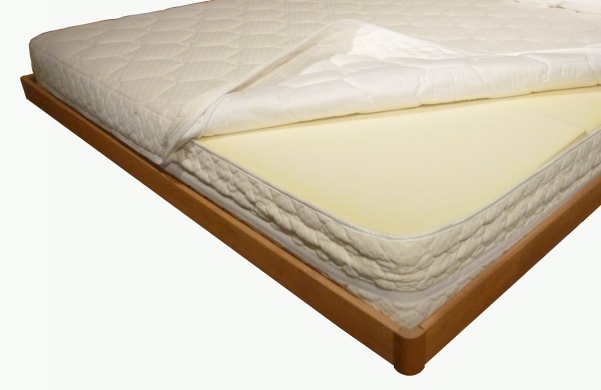 The plush Pure Health® mattress cover is made of a beautiful, soft blend of polyester and bamboo. Bamboo is a natural textile fiber made from the pulp of bamboo plants. Bamboo fabric is very soft, breathable and durable. It is antimicrobial and has a unique ability to absorb and wick away moisture. The cover on the Pure Health® Mattress is beautifully quilted and smooth to the touch, and because it possesses all the natural benefits of bamboo fabric, it provides maximum comfort. Best of all, the entire cover can be removed and machine laundered, which is a tremendous advantage over other mattress tops, which lack this feature and, therefore, can become infested with germs, mold, mildew, dry skin flakes, perspiration, dirt, dust mites, stains, and odors from years of use.